Want to HAVE A VOTER REGISTRATION DRIVE AT YOUR SCHOOL? Let's make it happen! 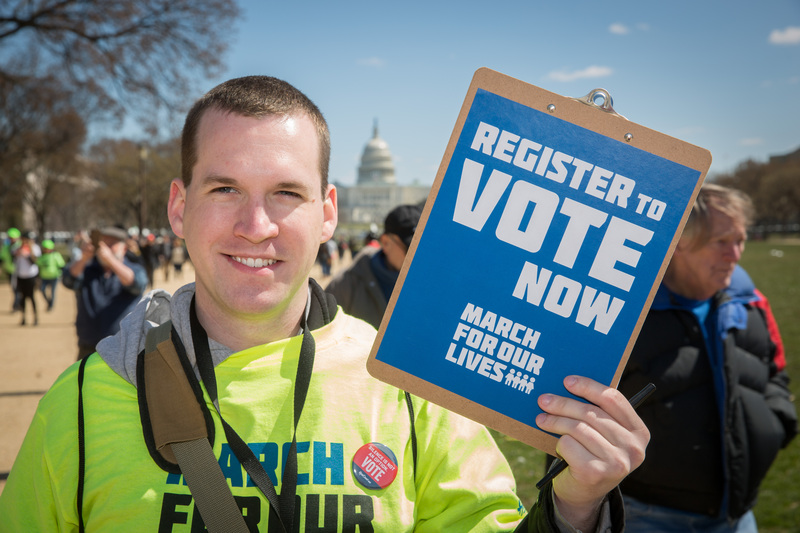 HeadCount and March for Our Lives can provide you with a guide to running your own voter registration drive. And in some cities, we can send a representative to your school. Whether you're a student, teacher, administrator or just a good citizen. Sign up now! Your information will be shared with the National Education Association and HeadCount. You may unsubscribe from either email list at any time. Copyright 2016 HeadCount, All Rights Reserved.